Toronto-based researcher (SSHRC Graduate Assistant). Maymun Abukar is currently a graduate student in the Faculty of Environmental Studies (FES) at York University. She completed her BA in Geography and Urban Studies at York University. Much of Maymun’s past research involved documenting cityscapes and urbanscapes of global cities, as well as urban analysis of Toronto neighbourhoods. Today, her research work includes the racialized social economy, housing, urban planning and development processes. Toronto-based Researcher. 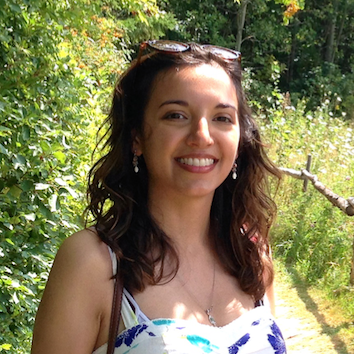 Reena Shadaan is a doctoral student in the Faculty of Environmental Studies (York University), and a recipient of the Canada Graduate Scholarship in honor of Nelson Mandela. Her research work spans environmental justice, occupational health, and the social economy. Amanda Whittaker is currently a PhD student at the University of Toronto. She completed her BA at McGill University and her MA in history at Concordia University. Her scholarly appetite has motivated her interest in gender studies, food history, and the collaborative practice of oral history. Her research focuses on the experience of migration, forced or voluntary, and the development and preservation of migrants’ foodways, particularly in the Montreal, Quebec area. In 2016, she enthusiastically joined Dr. Caroline Shenaz Hossein in finding focus group participants and making community contacts in Little Burgundy and Côte-des-Neiges area. Esery is a Toronto-based filmmaker whose practice ranges from documentary to fiction to experimental narratives. Mondesir was born and raised in Port-au-Prince, Haïti and received his MFA in cinema production from York University in 2017. His work takes a critical stance on modern-day social, political and cultural phenomena to suggest a reading of our society from its margins. Mondesir has been the recipient of the Paavo and Aino Lukkari Human Rights Award (2017), the W. Lawrence Heisey Graduate Awards in fine arts (2016) among others. His short film Dangerous Weapons was among the 10 finalists at the 2016 TVO short doc contest. In a previous life, Mondesir worked as a high school literature teacher, a book designer and a labour organizer.